George Region Accommodation,find a place to stay or that perfect holiday..
find a place to stay or that perfect holiday accommodation. In towns and resounding areas like George, Wilderness, Victoria Bay, Uniondale , Glentana, Herold Bay and Herold Meander etc. 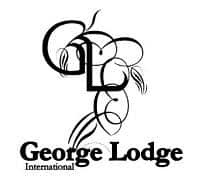 Looking for an place to stay in the George region look no further use this website or just download the very convenient App. 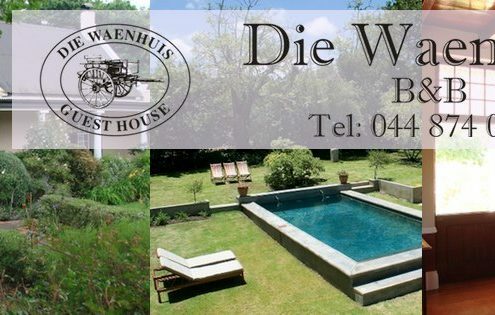 Bed & Breakfast or Self-Catering overnight as well as holiday accommodation in George, Western Cape. 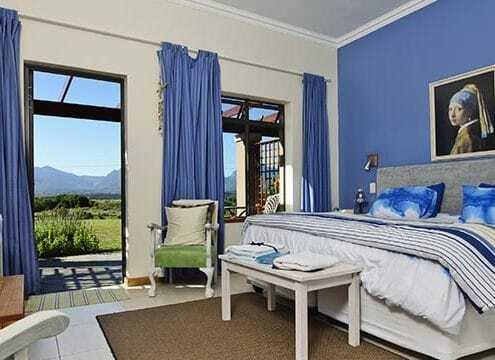 Sprawled on the slopes and at the foot of the impressive Outeniqua mountains along the famous Garden Route. Bethel B&B has an extremely neat and well-kept lush garden with lots of lawn for children to play. 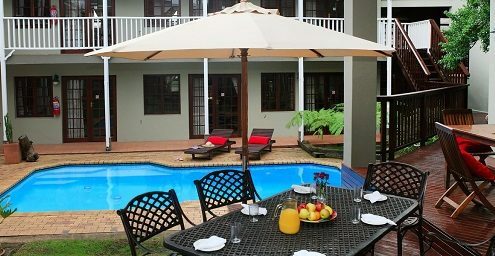 This Garden Route accommodation is in an upmarket suburb situated 12 km from George Airport and only 10 km from Victoria Bay. MediClinic is a mere 1.4 km and the CBD only 2 km from Bethel B&B. A self-catering apartment in the eastern parts of George, busy town in the Western Cape, South Africa. Halfway between Cape Town and Port Elizabeth on the famous Garden Route. Also boasting the largest public airport in the region having handled more than 785 000 passengers during 2017. The name of the apartment means 'quite cosy' which is an exact description of the accommodation. It is located on the ground level making it accessible for wheelchairs as well. This happens only 2 km on the Oubaai turnoff on the R404 road as you travel towards Herold’s Bay. 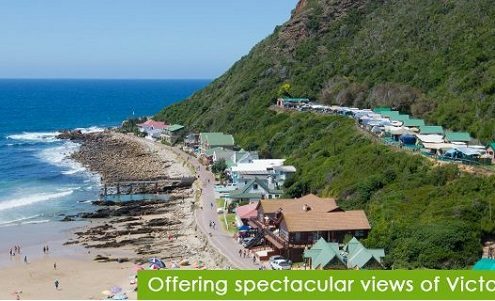 Your preferred destination in South Africa’s Garden Route known as Herold's Bay Resort. Catering for weddings, conferences, functions and other events. Providing 3 star accommodation and are furthermore well known for are famous Sunday lunches. Luxury Guest-house, Bed & Breakfast (B&B) as well as self-catering accommodation with free WiFi in George. In the Western Cape, South Africa, at the foot of the Outeniqua Mountains along the beautiful Garden Route. 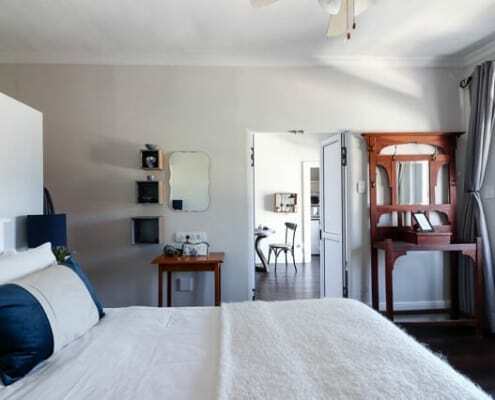 Authentic Cape Georgian historic home, circa 1861 and lovingly restored to a modern, tastefully decorated guest-house. Guest House or Bed and Breakfast (B&B) as well as self-catering facilities in some rooms. 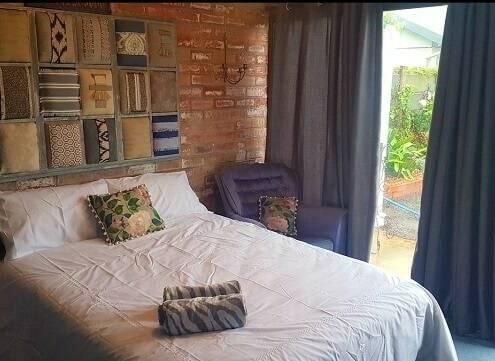 Comfortable, upmarket, but affordable accommodation in George, lively town in the Western Cape, South Africa. At the foot of the magnificent Outeniqua mountains on the N2 along the scenic Garden Route. Splendidly located near restaurants as well as shopping centres and the Outeniqua Transport Museum. Only 8 km from the picture-pretty little beach Victoria Bay, 12 km from the airport and 5 km from the George golf course and rugby stadium. 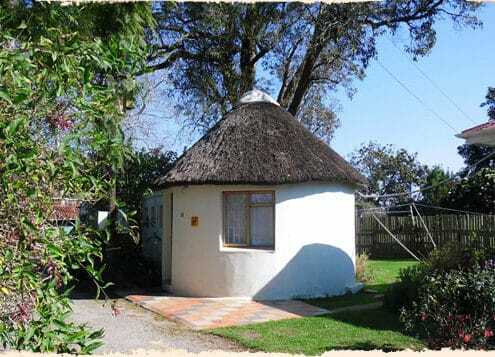 Overdale Country Cottage is situated on a small holding in a large garden and consists of seven self-catering units. 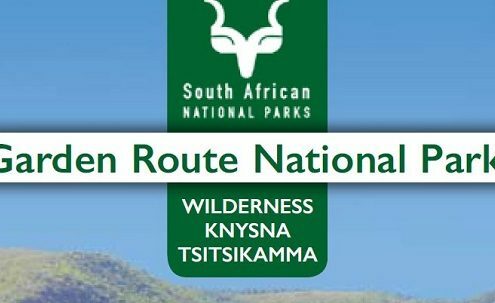 We are located on the N2 from George to Wilderness, approximately 4 km from George on the way to Wilderness. 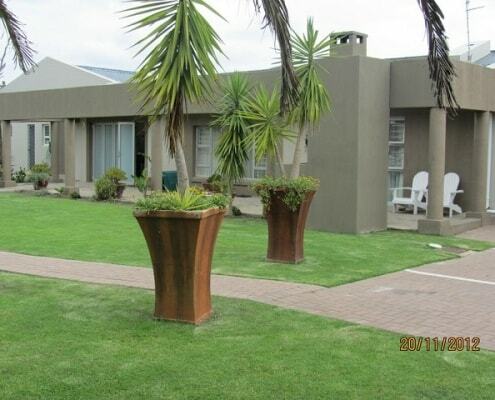 The units can accommodate between two and five people, ideal for a family break away just outside of George. The establishment consists of the main house with 7 rooms all en suite. 3 open onto verandas a loft room with a balcony and 3 rooms inside the house. Then there is the annex, which we call “die werf” around the swimming pool with 4 rooms opening onto verandas and the conference room. All rooms are luxuriously and individually decorated with antique and vintage pieces combined in an eclectic style with modern conveniences. is a stylish boutique hotel suited for both leisure and business travellers. Facing the Outeniqua Mountains in the Western Cape of South Africa, the hotel is small and exclusive and is centrally situated in the business district of George. 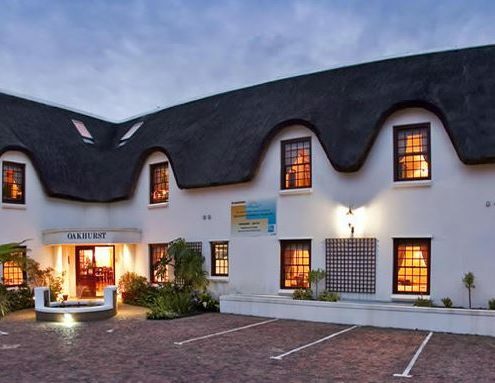 The hotel also offers an ideal location from which to explore the rest of the Garden Route. 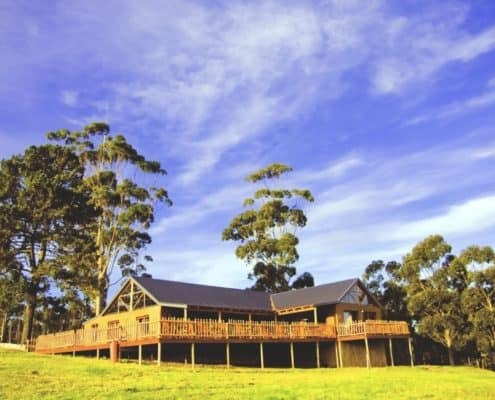 Urban tranquility combined with country charm is what you can expect at Oakhurst Hotel. We offer comfortably convenient accommodation that suits all your travel needs. From corporate business trips to romantic break-aways. From activity filled family vacations to private relaxation, our beautiful surroundings combine with sincere hospitality. Provide your with the ultimate accommodation option on the Garden Route. 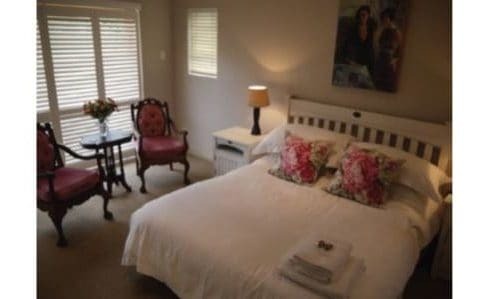 Centrally located in the picturesque town of George, Loerie Guest Lodge provides comfortable accommodation to pamper the most discerning traveler or conference delegate. 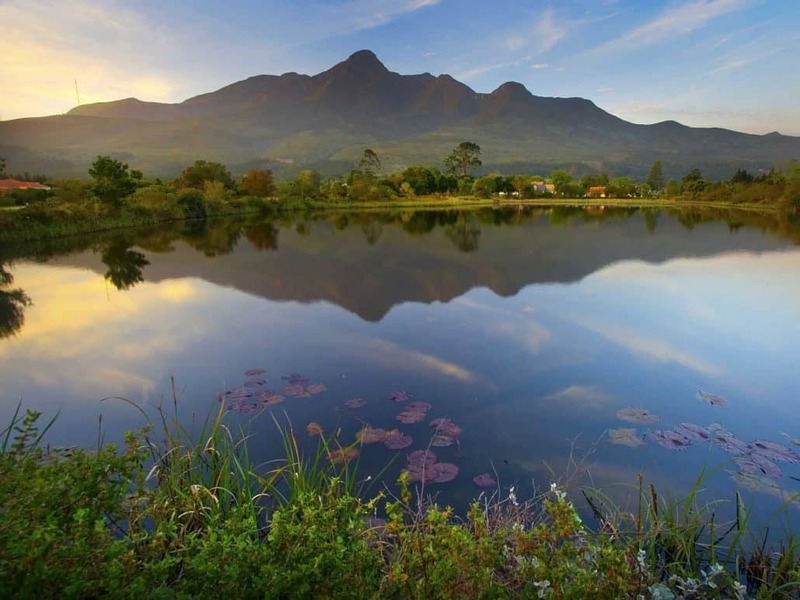 It's unique position allows travelers the freedom to experience the renowned local attractions including breath taking vistas of the Outeniqua Mountains. 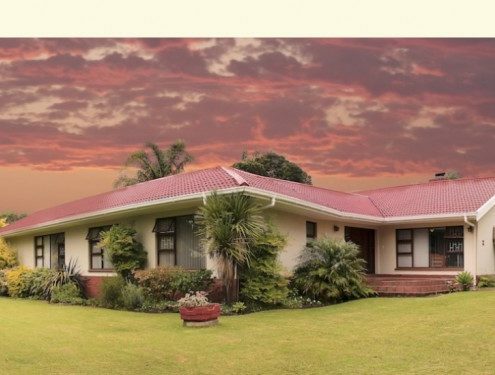 Butterfly Guest House is located in an up-market area of George and close to all the attractions and amenities in the area. Our Self Catering accommodation comprises of 3 rooms, lovely open plan kitchen, dining room, TV lounge and a formal lounge with gas fireplace. These rooms all open onto the patio. Secure off street parking. 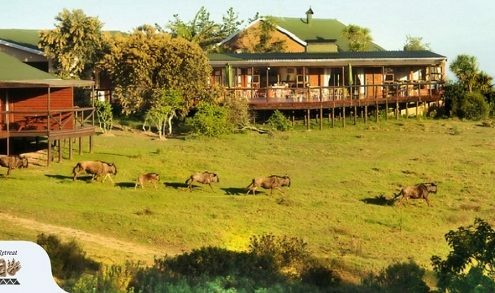 Kwelanga Country Retreat is situated on the coastal highland near George, providing sweeping views across the Indian Ocean. Possessing one of the grandest vistas in the region, the visibility stretches many kilometres, from the beaches of Wilderness, clear to the lighthouse of Mossel Bay.